We see a lot of computers infected with malware here at Dave’s Computers. Our New Jersey computer store is often visited by people who think they have taken every precaution and yet still fall foul of this virulent annoyance. If you think you may have malware on your computer, visit our store and we can help you out. Otherwise, look for these ten signs. They aren’t exhaustive but they are the most common signs of computer malware infection. These ten signs could indicate your computer has been infected with malware. Run a malware scan immediately if you see any of these. Computer begins running slowly – There are many reasons why your computer may slow down but most of the time it happens gradually. If yours suddenly begins slowing down or taking longer to boot, run a malware scan. Computer keeps restarting or crashing – There are many other reasons why this might happen too, but if you see other signs in this list, run a malware scan. 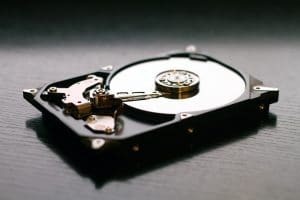 Hard drive or processor working overtime – If you’re just browsing the internet or doing something basic and your hard drive is working hard or your processor is at high utilization, you could have a virus or malware. Run a scan. It can be other things too, Task Manager will tell you what. Browser homepage changes – Most of us have a favorite home page that opens every time we open the browser. If it suddenly changes to something other than the browser default, it’s a sure sign of malware or of you not opting out of changes when you installed free software. Search engine changes – The same for your default search engine. Some free software offer to change it for you but so does some malware. You begin seeing popup ads – If you start seeing more popup ads than usual, especially when you’re not using the internet, this is a sure sign you have malware. 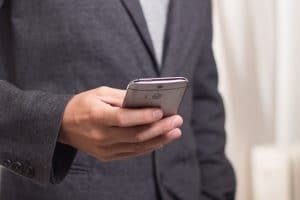 Internet activity picks up – If your internet slows down or your firewall shows more activity than usual on your network, this could be a sign of malware. If there are no other obvious reasons for this, run a scan. Your security software turns off – If you see your antivirus or firewall disabled and you didn’t do it, it could be malware. Some malware can disable security software without your knowledge so if you notice it, scan. Unusual messages or activity – If you start seeing strange messages like not being able to open an app or cannot write to a certain folder, this could be normal Windows or it could be malware. If you also see some of these other signs, run a scan. Friends receive emails or messages from you that you didn’t send – This is a sure sign of malware. A piece of code has gotten to your email contacts and is spamming them trying to spread itself. Run a scan. If you see any of these symptoms on your computer and your malware scanner doesn’t fix them, bring your computer over to Dave’s Computers in New Jersey. We will fix it for you! Previous Post: « Is Apple really in a position to judge your trustworthiness?